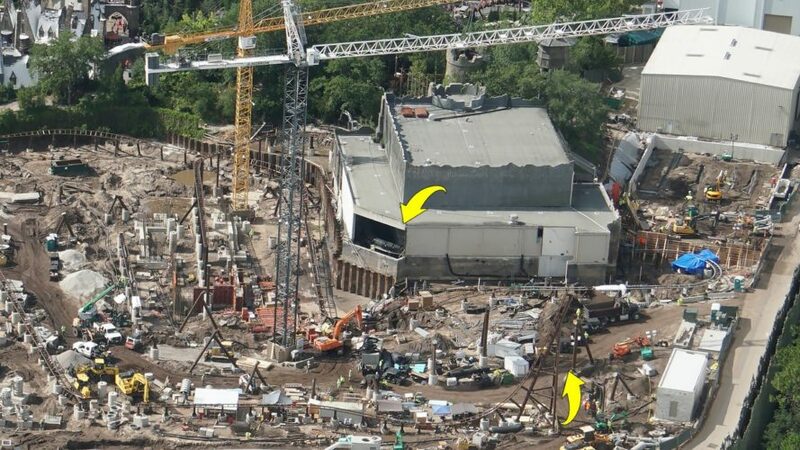 UPDATED: Photos of Universal Orlando’s Hogsmeade Construction Give Clues to New Ride! 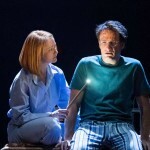 After the addition of Diagon Alley in recent years, hosting A Celebration of Harry Potter, and adding The Nighttime Lights at Hogwarts Castle show exclusive to The Wizarding World of Harry Potter, Universal Orlando Resort continues to update its theme parks with all new Potter-themed attractions – and we couldn’t be more excited! 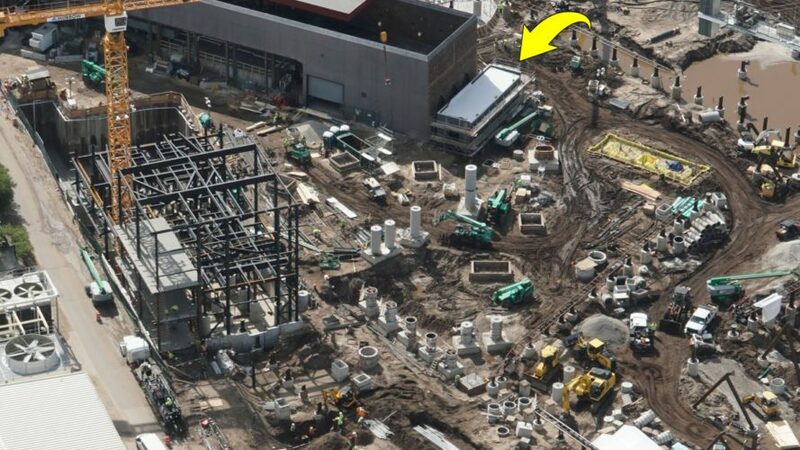 Now Attractions Magazine has procured bird’s eye-view images of the construction in Universal’s Islands of Adventure park, giving us hints into their ongoing expansion plans. 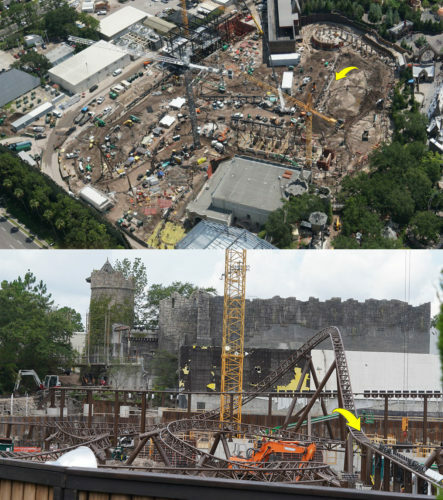 The site of the former Dragon Challenge ride is currently filled with cranes, track and the framework of an elevator lift. 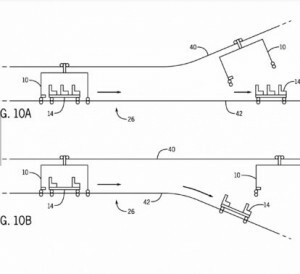 When word first reached us that the beloved Triwizard adventure was coming down, we speculated that the ride replacing it might feature one or both of the new patents in Universal’s arsenal, the first being for a “vehicle transportation room system and method” (shown below). The second was described as an attraction in which “patrons may get the impression that they are entering one completely integral and unified theater, when in fact each seating section is a separate maneuverable seating area” (shown below). In the meantime, there’s still plenty to speculate about given what we know. 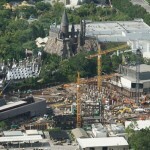 Considering the location–that is, the proximity to Hogsmeade and the Hogwarts castle–and the outdoor setting, many outlets are suggesting Universal has opted to recreate the Forbidden Forest. Attractions Magazine theorized the spot highlighted above could easily feature a large animatronic such as the acromantula Aragog. A ride navigating visitors through hordes of spiders would definitely be thrilling, and other close-ups of the site could also coincide with the theory. The elevator framework seen above could lift riders into the Weasley’s Ford Anglia, sending them off to experience the Forbidden Forest and its creepy infestation through Ron and Harry’s eyes. Further, additional images show a dead-stop point in the track–this could indicate a surprise attack by the acromantula necessitating a quick reverse maneuver. The spider theme could easily fit, but we’ll admit to some healthy skepticism over it, considering the Forbidden Journey already features acromantula. To repeat the storyline could be slightly redundant, and we suspect Universal will want something entirely new and exciting since they’ve gone through a lengthy and expensive replacement process. 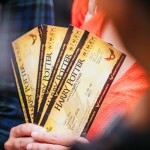 Still, the Forbidden Forest as the site of the attraction makes the most sense–so what other Potter-themed adventures could visitors face there? 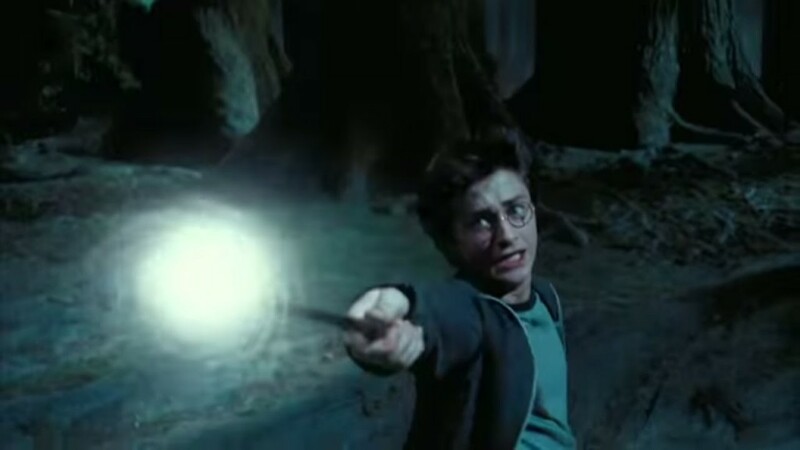 In Harry Potter and the Sorcerer’s Stone, Harry journeyed into the forest in search of endangered unicorns and encountered the specter of Voldemort in the body of Professor Quirrell. A mysterious trip through the forest and an unexpected encounter with the evil figure could fit, especially with the dead-stop feature. Harry Potter and the Chamber of Secrets didn’t include any specific outdoor adventures, but the Prisoner of Azkaban provides plenty of workable material for such an attraction, especially the climax of the story. The elevator lift could bring riders up out of the Whomping Willow’s tunnel, where they would then encounter Remus Lupin in werewolf form. The lycanthrope would chase them through the forest until they met a harrowing congregation of dementors. The dead-stop section of the track could be the blow-back from Harry’s Patronus Charm, which sends them fleeing. It would certainly fit the requirements of being new, thrilling and accurate to the setting. 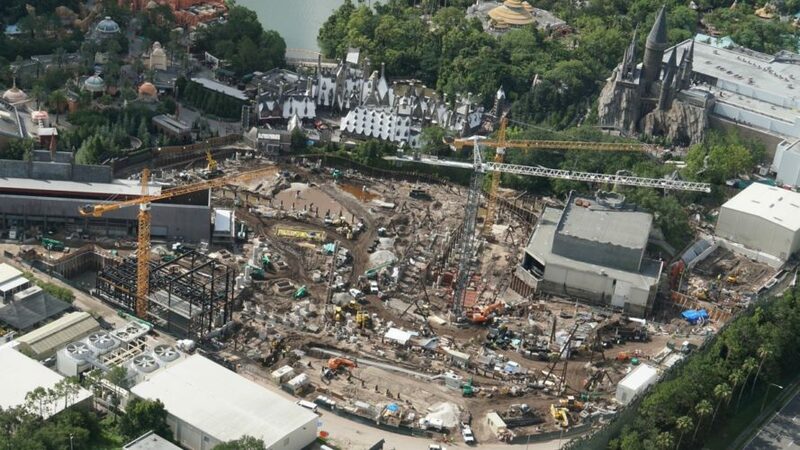 Harry Potter and the Goblet of Fire would also provide the right amount of action but, again, going with a Triwizard Tournament theme would rehash the Dragon Challenge. Of course, the ride could broaden the story by hitting all of the challenges. The elevator could lift visitors into the tent or the pit or even represent Harry kicking off on his broom to face off with the Hungarian Horntail. The lift could also raise visitors to the surface of the Black Lake after descending into its depths, while the animatronic mentioned earlier could be the fearsome dragon. This would put the events out of sequence, though, so–perhaps not. Still, the dead-stop would be spectacular, especially if it transported riders from the graveyard showdown with Voldemort back to the maze at Hogwarts by portkey. In keeping with the Forbidden Forest locale, Harry Potter and the Order of the Phoenix could give riders an encounter with the centaurs and Grawp. An animatronic giant would be a sight to behold, for sure! How the twists and the turns of the ride would fit with that journey remains to be seen, however. 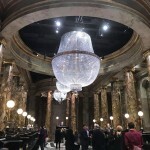 Harry Potter and the Half-Blood Prince did not include any important plot points at that location, and one of Harry’s primary adventures in the Deathly Hallows is already depicted through the Gringotts ride in Diagon Alley. 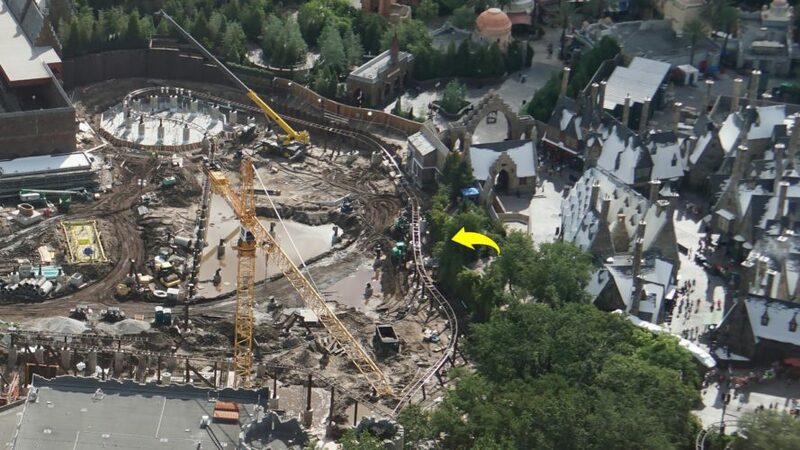 The attraction could take riders on a first-hand experience of the Battle of Hogwarts, which would presumably end with Harry approaching–or confronting–Voldemort. 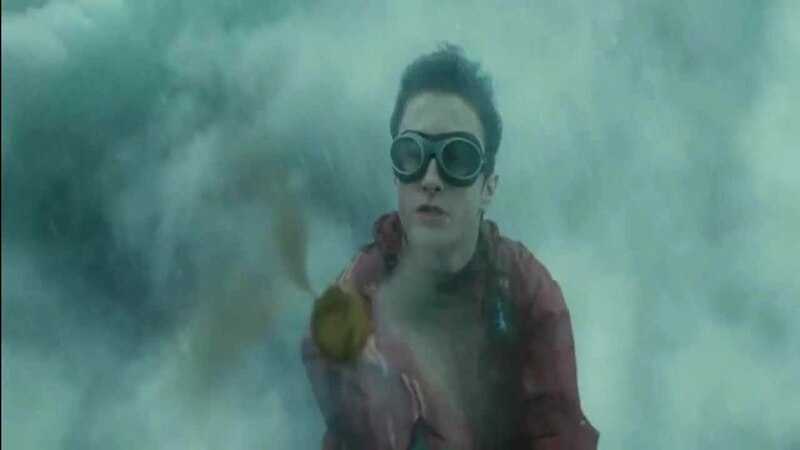 The dead-end stop feature could be the “Avada Kedavra” curse hitting Harry, or it could be part of their final battle – there are plenty of high-tension moments in Deathly Hallows that could fill the criteria. However, the ride is based outside of Hogwarts, and we admit, it’s hard to imagine how all the twists and turns in the final film would fit – but that’s what Universal’s creative team is for! Our final guess, which may be a stretch, is that the site will not be the Forbidden Forest at all, but rather, the Quidditch Pitch! 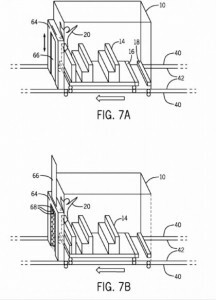 The elevator feature could lift fans into the air like Harry taking off at the start of a match. The track would then whisk riders through the sky where they would eventually meet with Dementors, if not the golden snitch. Granted, this ride which would be so much more effective with the technology and visuals available to indoor set-ups, so chalk it up to wishful thinking on our part. We’ll readily admit that we’re stumped, but excited. 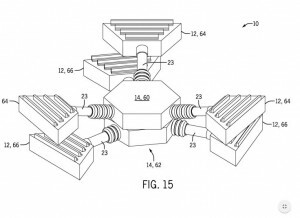 The images definitely provide much to think about, and you can view even more, including Attraction Magazine’s thoughts on Universal’s plans, here. So what do you think, Potter fans? Which of our theories, if any, seems most likely? Or come up with your own and share them in the comments!